I first explored the topic while studying at Saint Petersburg State University during the summer of 2009. On the walls surrounding the university, I observed stencils that opposed Russia’s nuclear program, protested the unwarranted arrest of Artem Loskutov, and memorialized the historical blockade. Walking the same route to class each morning, I realized that the writing on the wall shared a narrative about Russian political sentiment that was less, if at all, apparent from other media channels. It seemed to me that the city’s streets doubled as a stage where frank, anonymous, and unpunished dissent could exist. 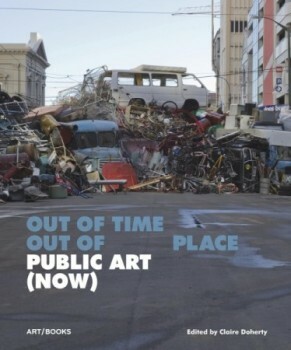 In February 2011, Roger Gastman—an artist and expert in the burgeoning field—gave a public lecture on the history of American street art at Washington D.C.’s Corcoran Gallery of Art. Gastman insisted that, in our western society, the main purpose of dominating a public space with one’s pen is to achieve notoriety. To me, the art lying east of Berlin seemed more politicized, more intentional, even more desperate than that found in the United States or Western Europe (though there are always exceptions). Inspired by Gastman’s lecture, I read through everything that I could find on street, dissent, and non-conformist art, which allowed me to more clearly recognize the unusual aspects of the art form in the post-Soviet region. I began to understand that marginalized groups around the world circumvent oppression in the same way. Everyone wants to be heard and act to voice their concerns. Not all people have equal access to the nightly news, daily digest, or public protest. When speaking up compromises safety, methods must adapt. The ideal medium is simultaneously public and still somewhat safe. With these stipulations in mind, it’s easy to see why street art is an amenable medium for strained political discourse. Graffiti is an anonymous and untraceable art, which allows its creator to freely criticize everything that the mainstream media does not and perhaps cannot. Unless the artist is caught in the act, it is unlikely that they will be punished for their communiqué. And still their words will be read by many passerby, regardless of the reader’s age, gender, ethnic group, religion, or socioeconomic status. Street art, in this sense, is truly an egalitarian leveller. Before long, I got the opportunity to test my hypothesis. By June 2011, I was on a flight back to Russia, thanks to a generous research scholarship from Georgetown University. During my fieldwork, I spent months walking the region’s alleys and underpasses. I found the kindest of friends to house me. I sought out artists, activists, and politicians in Moscow studios and Budapest living rooms out of genuine eagerness to share their stories and to contribute to knowledge of the subject. I standardized my daily research by applying the same fieldwork methodology to each urban center. In each city, I collected images in six specific locations in order to systematize my observations: the student district, the artist district, the end of the line, the downtown district, the market district, and the graffiti spots. This allowed me to more accurately compare and contrast my findings per their location within the city. For the March 2012 election, I returned to Moscow on a Cosmos Club grant to collect living histories from the artists and activists during this heightened political period. In June 2013, I did additional fieldwork in Berlin and in December of the same year, I was lucky to return to Moscow as a resident at the National Centre for Contemporary Art (NCCA, Государственный центр современного искусства). Why: The existing literature on the topic is sparse. The most notable text is John Bushnell’s Moscow Graffiti, which was published in 1990. While Bushnell provides a great assessment of the Soviet countercultural progression and thoroughly outlines how each movement (hippies, pacifists, rockers, fanaty, etc.) used graffiti as a tool to share their ideology, his analysis stops with the end of the Soviet Union. That’s where Post-Soviet Graffiti comes in. Through my fieldwork, I was able to write a thorough and cross-referenced account of graffiti and street art culture from 1985 to the present-day. The overall purpose of this research is to show that graffiti and street art are more than acts of vandalism, but are rather rich, alternate modes of expression in the otherwise tightly controlled countries of the post-Soviet region (for bullet points, see Mission). What started as a master’s thesis has since become a full-fledged, long-term commitment and passion for storytelling and political analysis in Post-Soviet Graffiti.